Euro Superabrasives Limited provides a range of Polycrystalline Cubic Boron Nitride (PCBN) products for a range of specialist machining applications. PCBN composites are produced by sintering micron CBN powders with various ceramics, to produce extremely hard and thermally stable tooling materials. 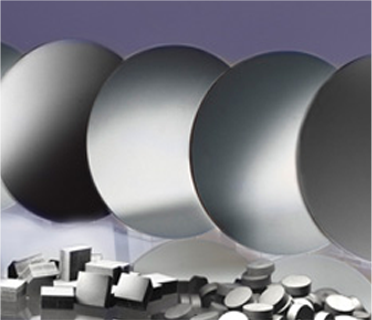 Most PCBN materials are integrally bonded to a cemented carbide substrate. CBN is the second hardest material known after synthetic diamond, but has high thermal and chemical resistance properties. About two thirds of all PCBN tools are used for the machining of hardened steels, offering a viable, more cost effective alternative to conventional grinding processes. Other applications are in the machining of hard, grey and high-strength cast iron, and cold and hot-work tool steels. The machining of nickel and cobalt-based superalloys is a significant and rapidly growing application area for PCBN.